The University of Rhode Island researchers have accumulated millions of dollars in grant money to fund their project, but not all of that money goes directly towards their research. Dr. Kathleen Melanson, professor within the Department of Nutrition and Food Sciences, explained that as a principle investigator she writes four-six grant proposals per year and additionally co-authors as co-principal investigator. In addition, Dr. Melanson runs the Energy and Balance Research lab within the department, exploring energy intake and expenditure. 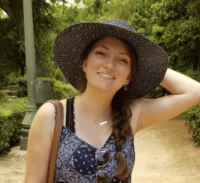 In order to fund her research and graduate students she relies upon funding from grants. When probed about why this funding is important, she expressed obtaining these funds is critical in helping graduate students initiate their careers. This serves as a highlight of her profession, while sharing her vast experience resonates through her work as an academic advisor and research investigator. DeBoef is in a similar situation, in that he relies on consistent funding to maintain research lab costs. “My research group, which currently contains seven graduate students and four undergraduates, needs about $80k per year just to buy the chemicals and research supplies necessary to make progress towards our scientific goals,” stated DeBoef. For the most part, all this money is funded by grants, reiterating the importance of effectively written proposals. However, with every grant received it becomes disseminated into two major parts: direct versus indirect costs. Winnifred C. Nwangwu, director of the Office of Sponsored Projects, said, “indirect costs are the non direct costs associated with facilities and administrative costs of a research.”. Basically, these are costs that cannot be directly captured such as electricity bills, problems that arise in research facility (i.e. combustion reactions), costs for the lab space that is shared amongst many different researchers. Indirect costs are a federally negotiated cost. URI has three different negotiated rates depending on the project. For URI professors performing research at the University, it would be charged 53.5 percent, if a URI professor is doing research at another institute off campus that’s around 26 percent, and then there’s one called “other” that’s about 46 percent, but is rarely used. These costs can’t be itemized and could theoretically be applied to a multitude of purposes. This formula rate is also referred to as the F&A distribution rate, which is the federally approved rate for reimbursement of facilities and administrative costs on university sponsored projects. This money goes towards expanding and growing research capacity, infrastructure and services on campus. 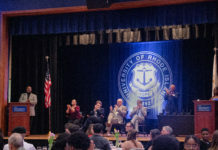 At URI, this rate varies across departments and colleges, but there is money allocated to many different areas which may include administration and finances, research utilities, the provost’s office, the Vice President for Research and Economic Development, the President, and the dean, college, or department that the research is associated with. It is a possibility that a research or project may receive more money from their department or college for unexpected predicaments and this money would come from indirect costs from grants, but that is up to the department’s discretion. Taking this into consideration, with every grant proposal written, the writer must budget appropriately. DeBoef plans the scientific expenses of his research project, serving as the direct costs, and then then adds 53.5 percent for the indirect costs to reach the total needed amount. Melanson has a similar method. “In building my budget, I keep the direct research costs separate from the indirect costs, so I never plan to spend those indirect costs myself,” she said.